A pair of his father’s old tandoor ovens helped Hong Kong restaurateur Asim Hussain achieve a dream — the world’s first Michelin star for a Pakistani restaurant, an accolade he hopes will fire interest in the country’s often overlooked cuisine. Like many of Hong Kong’s 85,000 strong South Asian population, Hussain’s family trace their lineage in the bustling financial hub back generations, when the city was a British colonial outpost. 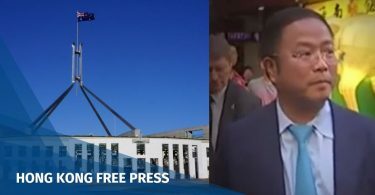 His great-grandfather arrived during World War One, overseeing mess halls for British soldiers while his Cantonese speaking father owned restaurants in the eighties and nineties. 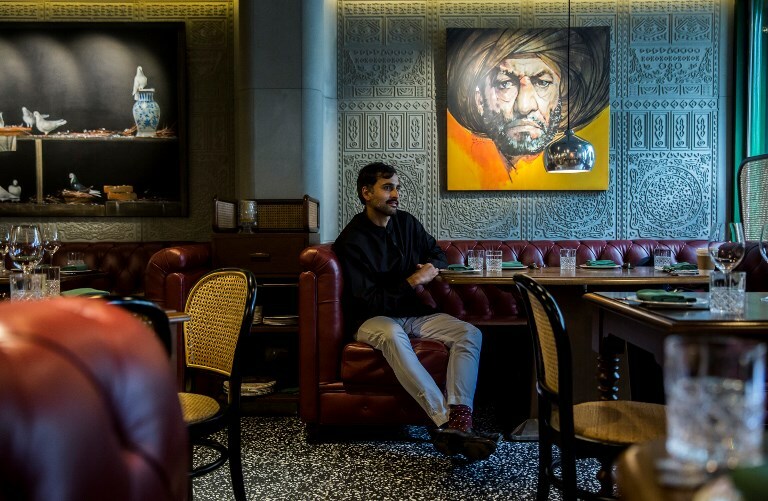 This picture taken on January 16, 2019 shows Hong Kong restaurateur Asim Hussain sitting at a table in his restaurant, the New Punjab Club, in Hong Kong. Photo: Isaac Lawrence/AFP. Hussain, 33, already had some twenty eateries in his group when he decided to embark on his what he described as his most personal and risky project yet, a restaurant serving dishes from Pakistan’s Punjab region, the family’s ancestral homeland and where he was packed off to boarding school aged six. His father, a serial entrepreneur and even once Pakistan’s ambassador to South Korea, suggested he restore two old tandoors from his now shuttered restaurant collecting dust in storage. The success made headlines in Pakistan, a country that is unlikely to see a Michelin guide any time soon and whose chefs have long felt overshadowed by the wider global recognition gained from neighbouring India’s regional cuisines. Hussain is keen to note that his restaurant only represents one of Pakistan’s many cuisines, the often meat-heavy, piquant food of the Punjab. At it doesn’t come cheap — as much as US$100 per head. It was the second star achieved by Black Sheep, the restaurant group which was founded six years ago by Hussain and his business partner, veteran Canadian chef Christopher Mark, and has seen rapid success. 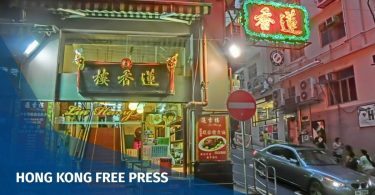 She runs culinary tours to some of the Hong Kong’s less glitzy eateries — to hole in the wall “dai pai dong” food stalls, African and South Asian canteens hidden inside the famously labyrinthine Chungking Mansions and to “cha chan teng” tea shops famous for their sweet brews and thick slabs of toast. For some, any recognition of Pakistan’s overlooked cuisine is a success story. Sumayya Usmani said she spent years trying to showcase the distinct flavours of Pakistani cuisine, so heavily influenced by the tumultuous and violent migration sparked by the 1947 partition of India. When the British-Pakistani chef first pitched her cookbook to publishers on her country’s cuisine, many initially balked. But in recent years, she says, attitudes have changed. Pakistani-run restaurants in the west that once might have described themselves as Indian are more proudly proclaiming their real culinary heritage, she says. Back in Hong Kong, Hussain remarks the hard work has only just begun. “I joke with the boys and I say that ‘It’s the first Pakistani Punjabi restaurant in the world to win a star, let’s not be the first one to lose a star'”.